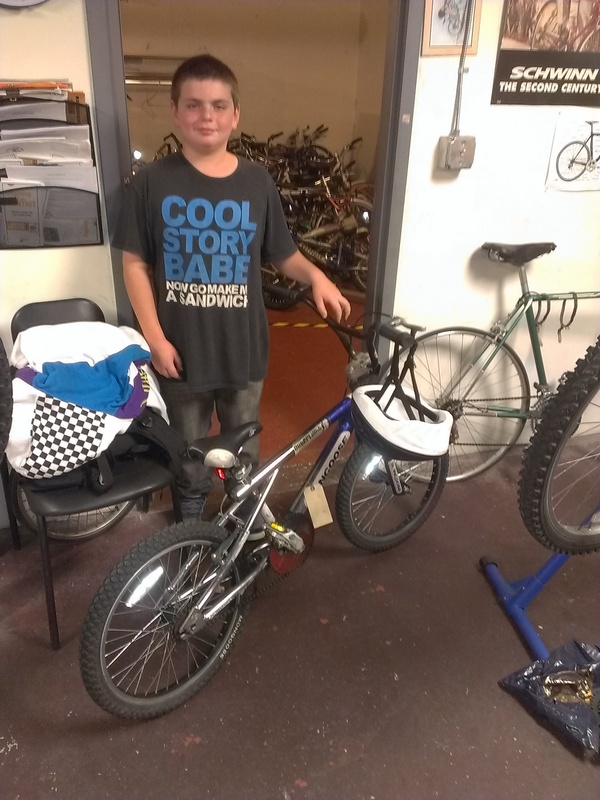 RJ finished his BMX bike and was headed out the door almost before I was able to get his picture. Please note the content of T shirts worn by participants are not necessarily the views of the Nasson Community Bicycle Center, its employees or volunteers. 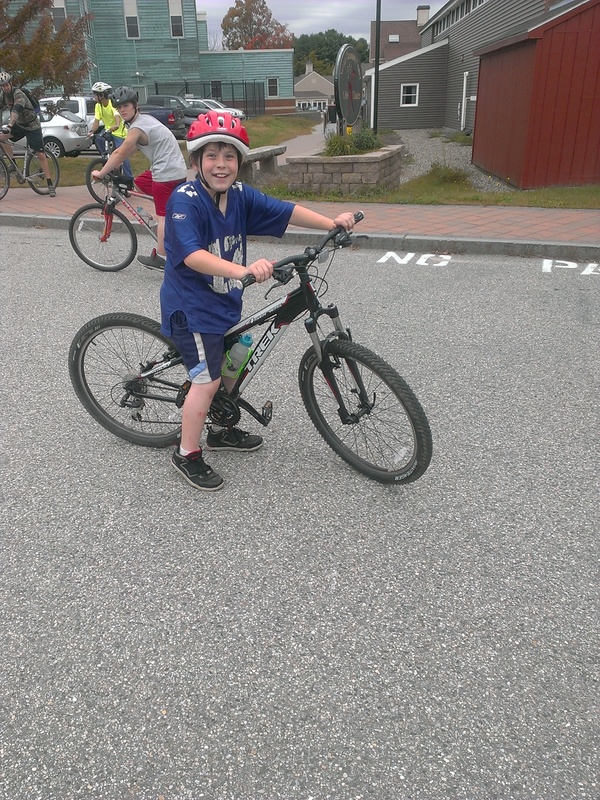 Lorrenzo before the start of Wednesday’s ride on one of the Trips for Kids mountain bikes. Kenny, Milton and fearless leader CR are in the background. 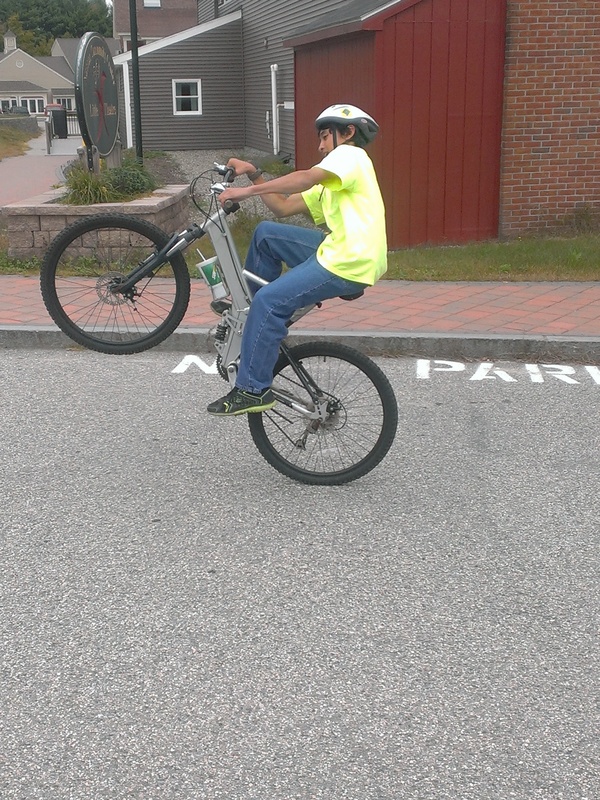 Milton is riding the Trek mountain bike donated by the Helena and Eben Brook. We are riding on Wednesday afternoons through the month of October. Come join us, we have bikes and helmets to lend if needed. Earn-a-bike and bike repair continue 3 days a week, on Tuesday, Wednesday and Thursday, 2 to 5 pm. Bike rides continue Wednesday afternoons, 3 to 5 pm. Bike Polo will be starting in November. Thanks for a great summer session. Fall is a great time to ride a bike, hope to see a lot of you in the shop and on the roads and trails.